The US and Russia are taking a series of dangerous steps that are moving the world back to mutually assured destruction. I grew up in the MAD world: the world of mutual assured destruction. The first Soviet nuclear bomb test in 1949 demonstrated that the brief US monopoly of nuclear weapons after Hiroshima had ended. From then until the late 1980s, the nuclear arms race haunted world politics and popular fears. Nuclear war was narrowly averted in the 1962 Cuban Missile Crisis. Thereafter, the US and Soviet governments began to discuss how to control and scale back nuclear weapons. The Strategic Arms Limitation Talks began in 1969, and culminated in the first SALT treaty and the Anti-Ballistic Missile (ABM) Treaty in 1972. There followed in 1987 the Intermediate-Range Nuclear Forces (INF) Treaty banning nuclear missiles in the 500-5500 km delivery range. Such missiles, which had threatened all Europe, were removed by both sides over the next four years. Justin Glyn recently explained the significance of this family of interlocking treaties, painstakingly negotiated over many decades, which Russia inherited after the demise of the Soviet Union. In 2010, Russia and the US agreed on the final successor to SALT, the New Strategic Arms Reduction Treaty (New START), which reduced the remaining number of intercontinental ballistic missiles on both sides to the minimum considered necessary for second-strike retaliatory deterrence of surprise attack or nuclear blackmail by either side. 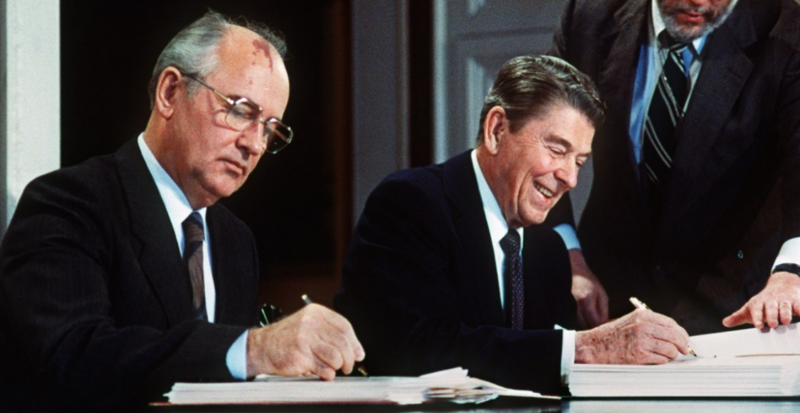 Reagan and Gorbachev’s joint maxim in 1987 that “nuclear war cannot be won and must never be fought” seemed to have been accepted at last by both nuclear powers. Dr Strangelove’s frightening MAD world seemed safely banished. We are experiencing a wicked conflation of dangerous trends. First, advances in cruise missiles enable more precise and multiple targeting, greater manouverability and survivability to the target, and rapid and hard-to-detect changeover of conventional to small ‘tactical nuclear’ warheads. 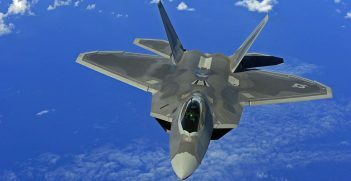 This has generated in the US military-strategic community a revival of the dream that Russia could become vulnerable to the threat of an overwhelming surprise US attack, and thus be intimidated into subservience. Second, NATO’s military expansion to Russia’s borders means that the distinction between ABM and INF has lost its meaning. NATO forces can emplace missiles as close as 600 km from Moscow. Battlefield defensive missiles in Eastern Europe could readily become offensive nuclear missiles with very short Russian reaction time, worsening the risks of war by accident. Third, China’s missile build-up – with 90 per cent of China’s increasingly effective missile force comprised of missiles up to 2000 km range – means that the US would like to deploy mobile land-based missiles in Asian countries to better deter China and shift the risk of Chinese retaliation against the US Pacific Fleet to less vulnerable land forces in Japan and Korea. If it were not bound by the INF Treaty, like China, the US could press Japan and Korea to host US missiles, though there would be huge public resistance. The US has for years alleged, without revealing its evidence, that Russia is violating the INF, which Russia denies. John Bolton is a true Dr Strangelove. Mike Pompeo is a natural bully. Donald Trump is a vain, easily-persuaded president who thinks that no treaty that predates him has any value. Bolton, who persuaded George W Bush to abandon the ABM Treaty in 2002, has now persuaded Trump to announce on 20 October that the US intends to exit the INF Treaty. Bolton is also known to favour not renewing New START when it expires in 2021. Russia’s policy response to US provocations has become increasingly hard-edged. Russia’s status as a global military and nuclear power was rebuilt by Vladimir Putin after 2001. Putin has held steadfastly to the Reagan-Gorbachev 1987 maxim, as he restored the strength of Russia’s conventional military forces – recently demonstrated in Syria – and its modernised second-strike nuclear deterrence options. In a series of recent speeches, Putin has shocked the new generation of Western strategic planners, who lack both historical memory and understanding of Russia’s war-hardened mentality and who falsely believe the US could fight and win a limited nuclear war against Russia using smart tactical nuclear weapons against nearby military targets in European Russia: that, Russia could be intimidated and would never dare to resort to its second-strike deterrent. Much of the West’s hatred of Putin is due to him remorselessly puncturing such dangerous illusions with brutal frankness, as at the meeting of the Valdai International Discussion Club in Sochi on 18 October. In his State of the Nation annual address on 1 March, Putin outlined Russia’s new array of second-strike deterrent weapons that could hit any target in the world from any direction. His message to the West was: do not risk any kind of military violation of our sovereignty redlines. We will be ready for the ultimate response. Trump may try to reopen discussion with Putin, if they meet in Paris on 11 November, using the INF issue as a bully-bargaining coin. It is unlikely that Putin will respond well. Russians are fed up with the US’ erratic decision-making style and unreliability as a security partner. They now regard the US as not agreement-capable. The whole logic of political and technological developments – since the US withdrew from the ABM Treaty and began efforts to break down the nuclear and conventional weapons firewall that earlier generations of leaders on both sides of the Cold War had prudently put in place – has led the world to the present, very dangerous point. It would seem to take a miracle at this point for the return to Dr Strangelove’s world to be halted. Tony Kevin is a former Department of Foreign Affairs and Trade officer from 1968-98, Emeritus Fellow of The Australian National University and the author of five books, most recently ‘Return To Moscow’ in 2017. 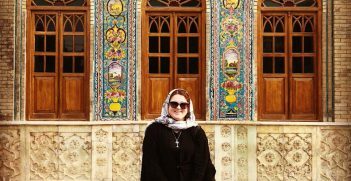 In the midst of all the discussion of Iran, it is worth taking a closer look at the social and cultural lay of the land, including the transformations it has undergone. In April, AIIA VIC conducted a three-week study tour that provided a much-needed reality check. 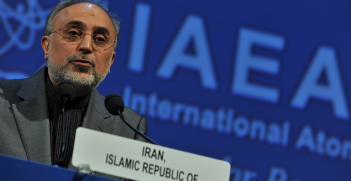 Australia’s national interests dictate that it should continue to support the nuclear deal with Iran. However, the government’s review is an opportunity to canvass complementary measures to address security and human rights in the Middle East. Pyongyang's looming nuclear-weapons capability is a strategic game changer for the region, with China emerging as the surprise winner.